Aerotech, provider of high-performance motion control and positioning systems, introduces the AGV-SPO, a new high-performance Galvo Scanner. It offers a larger field of view than conventional 2D scanners, reduces laser spot distortion, and is flexible enough to accommodate a wide range of laser wavelengths thanks to a large variety of mirror surfaces. As a result, the laser scanner is suitable for a wide range of applications, from additive manufacturing to medical devices. 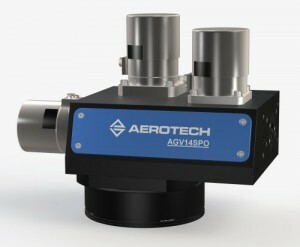 Aerotech’s AGV SPO scanner provides a range of mirror coatings and focusing optics to support a variety of commonly used laser wavelengths and focal lengths. Also, customer-specific optics and optical mounting options can be adapted as a special solution. Optional air-cooled mirrors and/or water-cooled motors ensure constant temperature conditions and continuously good work results even with high laser power or highly dynamic motion profiles. The laser scanner benefits from the high performance of the Aerotech’s controllers with their advanced motion control and position synchronised output (PSO). In addition, path control functions such as acceleration limitation offer the ability to automatically reduce scanning speed in tight bends or small radii to minimise overshoot. In addition, the laser can also be triggered based on the position feedback of the mirrors via the PSO. 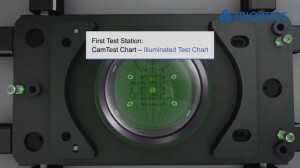 This ensures a consistent laser spot overlap when the scanner changes speed. Aerotech's Infinite Field of View (IFOV) feature seamlessly combines servo drive and scanner motion to extend laser marking across the entire servo axis travel range. This avoids stitching errors that can occur during the move expose repeat process.